Rukmini Iyer's glorious ode to the cauliflower is full of Middle Eastern flavours from the mellow spice mix baharat, nutty tahini and pomegranate-studded cauliflower couscous. If you’ve got a cauliflower or two lurking in your fridge, you could do worse than try out one or all of the components of this dish, if not all, for a spectacular dinner party starter. 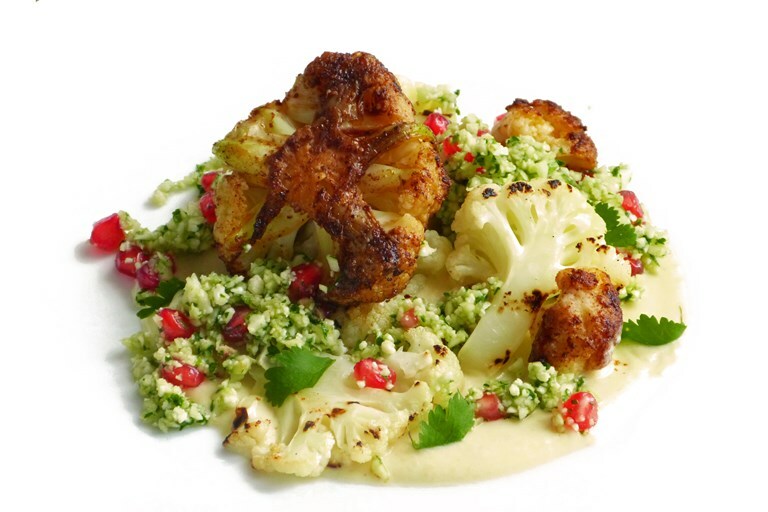 The spicy baharat roast cauliflower makes a wonderful contrast to the slices of soft, smoked cauliflower, with extra texture and crunch from the cauliflower and pomegranate couscous.